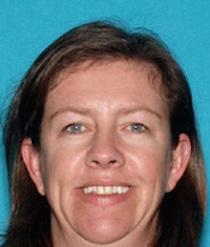 An Orcutt mother convicted of child abduction will not have to serve jail times as punishment for her crime. The mother grabbed her two daughters and fled to Mexico after the children’s father was granted visitation rights. Michelle Christin Gibbs received a sentence of three years of felony probation. Gibbs was ordered to serve 120 days but was granted alternative sentencing, according to the Santa Barbara County District Attorney’s Office. If Gibbs does not violate her probation or break any laws over the next year, her conviction can be reduced to a misdemeanor. On Feb. 26, 2015, a Santa Barbara County court granted visitation rights to the father of Gibbs’ daughters. Shortly later, Gibbs abducted her daughters and fled the area. The girls were ages six and four at the time. After the girls were declared missing, numerous government agencies, including the FBI, U.S. Marshals, California Department of Justice, U.S. State Department, U.S. Department of Homeland Security and Mexico’s national immigration agency, took part in a search for the children. On Aug. 18, 2015, Gibbs surrendered herself and her children at the U.S. Consular Agency in San Jose del Cabo, Baja California Sur, Mexico. Both Gibbs and her daughters appeared to be in good health. Three days later, the children were returned to the U.S. and reunited with their father. Gibbs later reached a plea agreement with prosecutors. In exchange for Gibbs accepting a felony child abduction conviction, prosecutors agreed to drop a charge of misdemeanor violating a court order. Authorities have not released an update on the status of the custody battle. Here I Go… Put a man in the same situation and he would have been on America’s Most Wanted and when convicted serve some prison time, maybe a lot of prison time. And, AND!!! Women are more likely then men to kidnap their children (1), while looking at getting less of a sentence when convicted (2). Note: There are many, many more studies that prove these two facts out. Wow follow the law of the land when all anyone is getting these days is probation? Does she have to pay back all the money these agencies spent looking for her sorry Arse?